The winter months make my skin extremely dry. I am happy to report that Dove has a new line formulated for very dry skin. 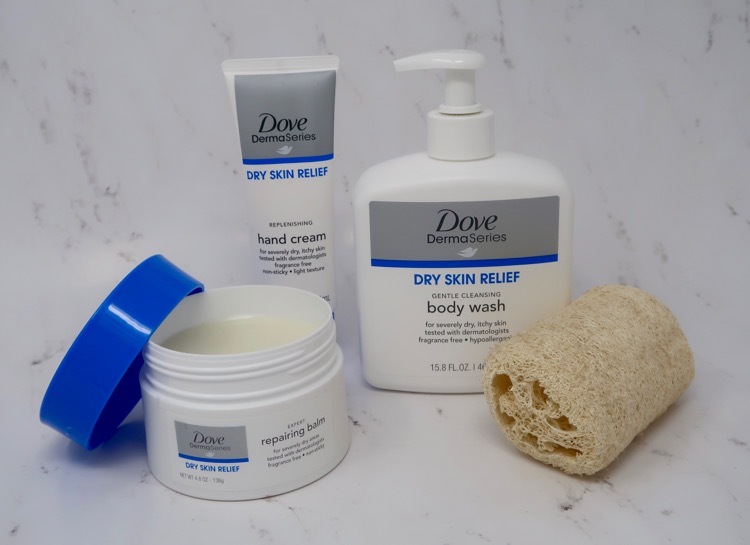 The Dove DermaSeries line works well on severely dry and itchy skin. It’s fragrance free and hypoallergenic. 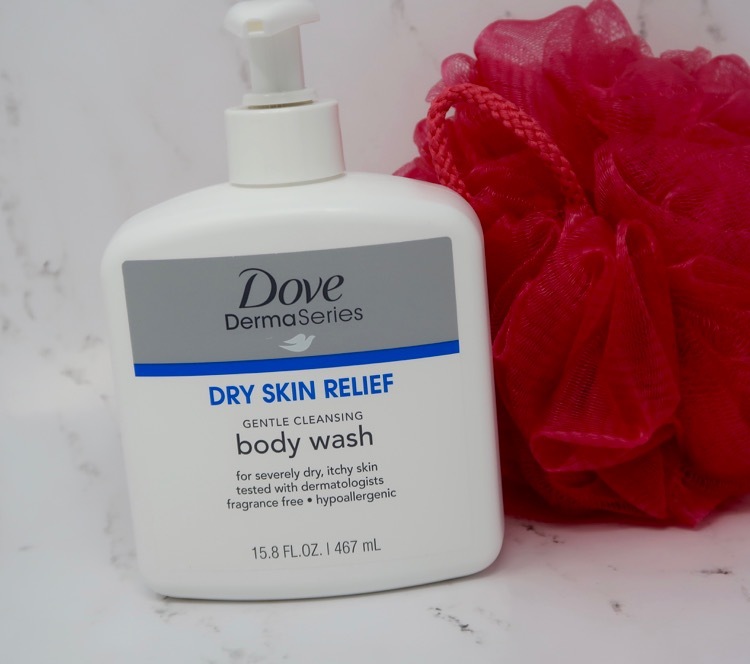 When looking for a lotion for my dry skin I always look for one that is fragrance free. If I use one with fragrance it tends me make my skin sting and it’s not does not provide relief. 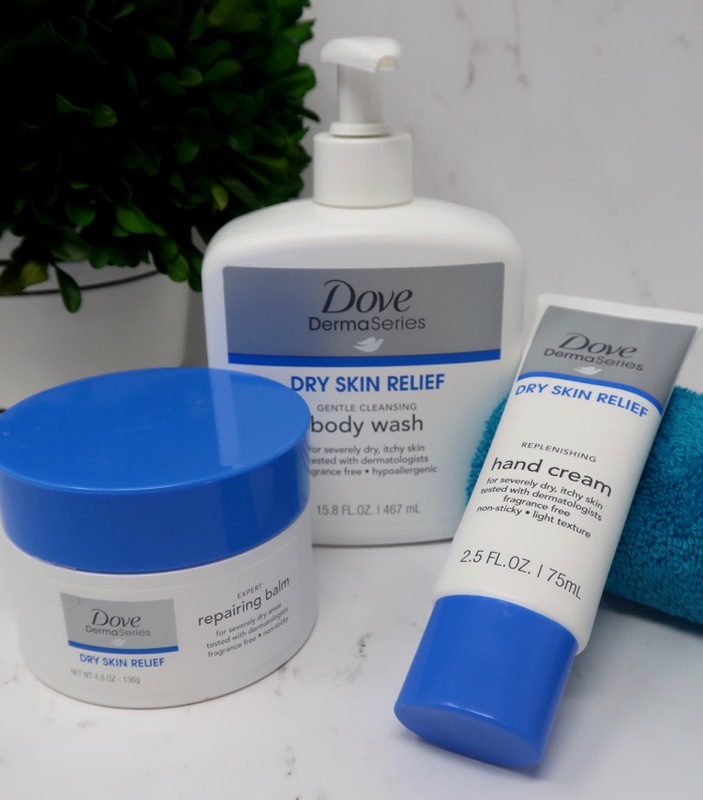 I’ve had the opportunity to try out three of the items from the Dove DermaSeries line and I am going to share my thoughts with you. I will also be providing some updates over the next few weeks so you can see how the hand lotion, repairing balm and body wash are working for me. 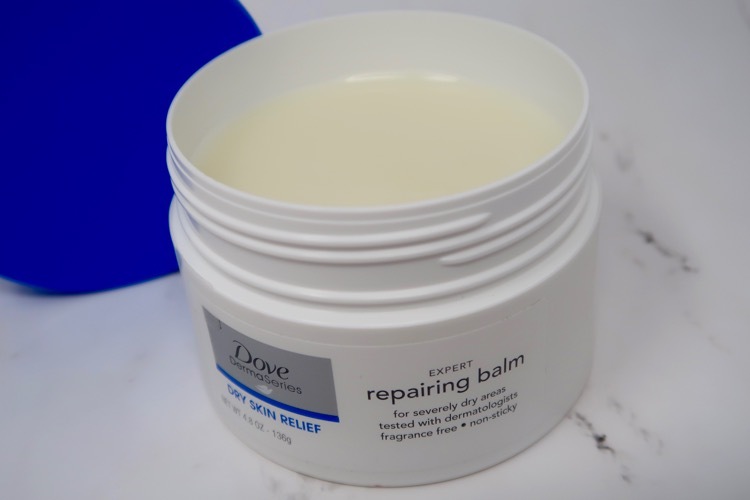 I have a couple really rough dry patches on my skin and I thought the Repairing Balm would be a great solution for these spots. This has a unique petroleum jelly blend and is great for those dry patches such as your knees, elbows and heels. It goes on well and doesn’t leave a sticky or greasy feeling I’m looking forward to seeing how this performs over time, so far I am pleased with the instant relief it provides. I really like the fact that they have also created a gentle cleansing body wash for your dry, itchy skin. This cleanser won’t dry out your skin. Again, there is no fragrance, so it won’t compete with any perfume you wear. My hands are so dry they can use lotion on a daily basis. 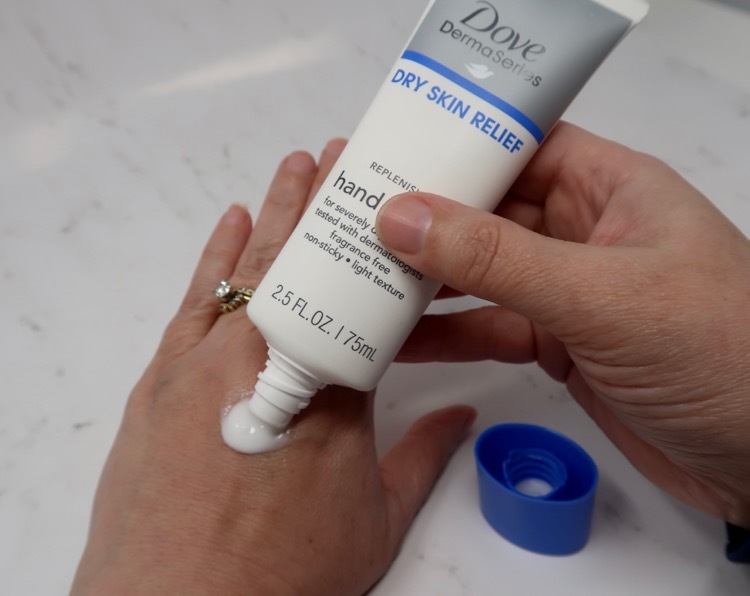 The Dove DermaSeries Hand Cream has a light texture and it doesn’t leave your hands feeling greasy. 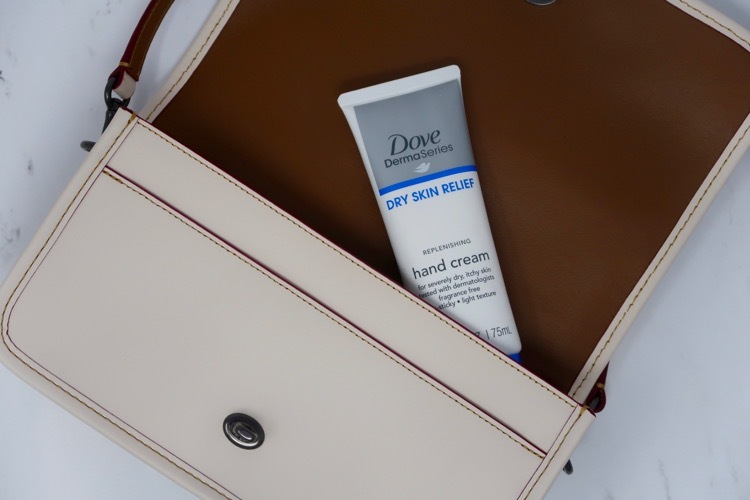 I love the fact that the hand cream is the perfect size to throw in my purse.